Sharpen your pencils—unless you dare to use a pen. The classic, bestselling crossword puzzle series returns with 300 new, never-before-published Thursday to Sunday-sized brain breakers. In 1924, Simon & Schuster published its first title, The Crossword Puzzle Book. Not only was it the publisher’s first release, it was the first collection of crossword puzzles ever printed. Today, more than 90 years later, Simon & Schuster’s legendary crossword puzzle book series continues with a brand-new collection of 300 crosswords, which offer hours of stimulation for solvers of every level. 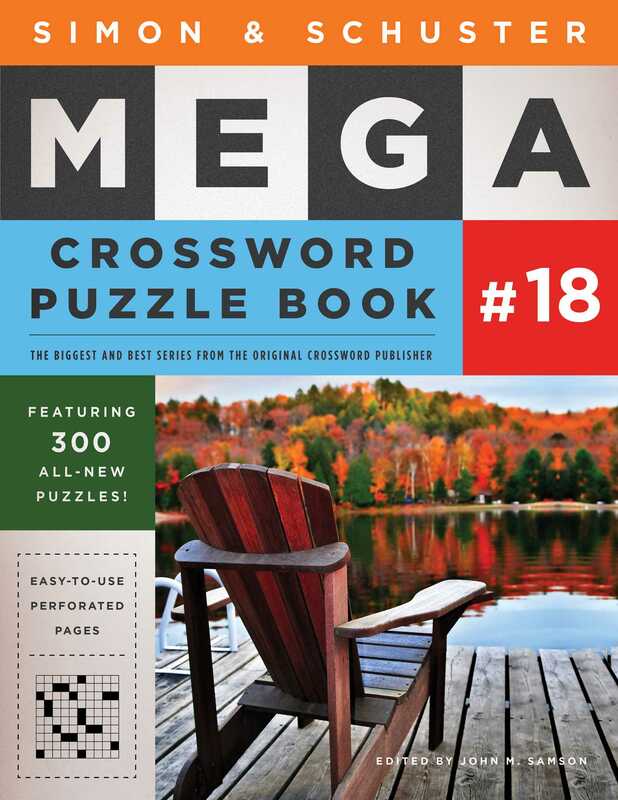 Created by the best contemporary constructors—and edited by top puzzle master John M. Samson—the Simon & Schuster Mega Crossword Puzzle Book #18 is designed with convenience in mind, featuring perforated pages so you can tear out puzzles individually and work on them on the go. This new super-sized book will delight existing fans and challenge new puzzle enthusiasts as they discover this timeless and unique collection of puzzles.